Bazmi Husain is Chief Technology Officer of the ABB Group. Prior to assuming this role in January 2016, he was ABB’s Managing Director in India for four years and, before this, head of ABB’s Global Smart Grid industry segment initiative. In this role, he was instrumental in pioneering agreements with partners such as General Motors and Deutsche Telekom, which have helped to make ABB a leading name in smart grid solutions. 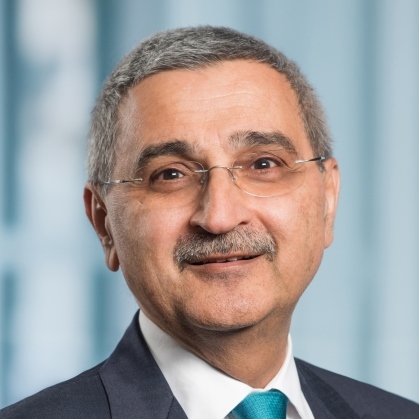 During his 30 years at ABB, Bazmi Husain has also worked in various roles in research and development, service, strategy and business operations around the world. He has led the Global Research Center in Bangalore (ABB’s largest R&D center worldwide), the Corporate Research Center in Sweden and the global Automation Technology Research team. Over a period of more than two decades, Bazmi Husain shaped ABB into the largest automation solutions provider in India in his time.